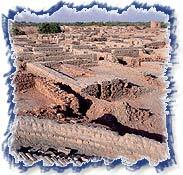 The Indian history commences with the beginning of the Indus Valley Civilization in places like Mohenjo-Daro, Harappa, and Lothal, and the advancing of the Aryans. These two parts are elaborated as the pre-Vedic and Vedic periods where in the Vedic period Hinduism arose and this is the period to which the Vedas are dated. Under the rule of Ashoka, in the fifth century, large parts of India were united who eventually adopted Buddhism, and spread it to other parts of Asia. During the Mauryan period, Hinduism found its roots and spread to the other parts of the country. Islam was introduced in the eighth century, and by the eleventh century was firmly grounded as a political force. All the North Indian dynasties like Lodhis, Tughlaqs, and numerous others, whose remains are visible in Delhi and scattered elsewhere around North India, were finally taken over by the Mughals, who established political unity in the country. The seventeenth century marks the beginning of the British rule in the country where in the latter part of this century the Mughal empire began to disintegrate, laying the way for regional states. The British conquests at the battlefields of Plassey and Buxar marked their supremacy over the Mughals. The Rebellion of 1857-58, which tried to restore the Indian supremacy, was crushed; and later with the crowning of Victoria as Queen of India, the inclusion of India into the British empire was complete. 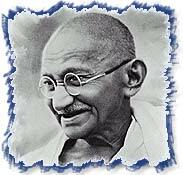 By the early part of the twentieth century, a nationalist movement began and by 1919-20, Mohandas Karamchand ('Mahatma') Gandhi had came out as the undisputed leader of this movement. The freedom movement gained momentum and finally drove the British out of India in 1947 but only at the cost of the division of the nation into two nations namely India and Pakistan. The Government of India Act of 1935 conceived the emergence of India as a self-governing entity, and later when India gained independence in 1947, the Constituent Assembly de signed the precise constitutional future of India. On 26 January 1950, India became a Republic, and the Constitution of India was promulgated. The Indian National Congress, which had led the country to freedom, remained the largest and most influential party under the leadership of Jawaharlal Nehru, who became India's first Prime Minister and led the country from 1947 to 1964. During his session he introduced the five year plans, depicted to bring big science and industry to India; in Nehru's own language, steel mills and dams were to be the temples of modern India. Relations with Pakistan remained tensed, and the apparent friendship of India and China proved to be false, when China invaded India's borders in 1962. Lal Bahadur Shastri was the next prime minister, who led the country to victory over Pakistan in 1965; but dyed of a heart attack the day after the treaty was signed. He was succeeded by Indira Gandhi, Pandit Nehru's daughter. By the late 1960s, Indira Gandhi devised a split in the Congress, to ensure her political survival, and the Congress had been reduced to a shadow of its former self. 1971 saw the victory of India over Pakistan in a short war that also saw the birth of Bangladesh, and Indira was now at the throne of her powers. Domestic problems mounted and Indira Gandhi declared an internal emergency in May 1975, which put entire opposition behind the bars. The emergency was lifted in 1977 and the same opposition quickly devised a strategy, and defeated the Congress party in national elections. This new government lasted a mere three years, and Indira Gandhi regained the power in 1980. But unfortunately she was assassinated on October 311984, by her sikh bodyguards who sought to avenge the destruction unleashed upon the Golden Temple by Indian government troops asked to drive out the terrorists hidden in the shrine. Indira gandhi was then succeeded by her son, Rajiv Gandhi. Then the reigns of the country was taken over by P.V. Narsimha Rao after the assassination of Rajiv Gandhi. In the later years Congress lost its hold and parties like BJP, Janata Dal etc gained power in different years.